If you have brakes that are making a squealing sound, it may be a sign that you need brake service right away. Brake maintenance is essential for ensuring your safety, the safety of your passengers and the safety of other motorists on the road. 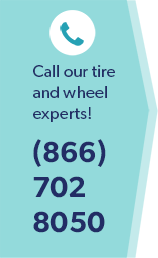 Anytime you notice any irregularities in the vehicle’s braking performance, you need to take your vehicle to a certified technician for a brake inspection in Burke, VA.
Each time you press your brake pedal the brake pads create friction, and in turn, the brake rotor disperses heat to keep the brakes from overheating. • Your brake pedal seems to be spongy or presses farther to the floor than normal. • Your car pulls to the right or left when you brake. • Unusual noises or vibrations happen when you brake. • Brake warning light comes on. It is a good idea for you to have your vehicle’s brakes inspected in Burke, VA for wear before the winter and summer driving seasons because extreme weather temperatures may hinder your brake’s performance. You should also have your brake fluid checked each time you have your vehicles oil changed and have the brake fluid exchanged according to your vehicle’s manufacturers manual. Replacing your brake pads is the most common type of repairs for your braking system. Brake pads are designed to wear out over time and should be the first thing you check if you are experiencing any braking issues. Brake rotors are an important component of the braking system that stops your vehicle. Rotors are what your brake pads clamp down on to stop your wheels from spinning. Rotors should be resurfaced or replaced once they show signs or warping, damage, or excessive wear. Brake lines can become corroded or cracked and should be periodically checked and replaced if needed. Replacing trouble brake lines before they become damaged can save key brake system components and money. Make sure to have a regular brake inspection for your vehicle in Burke, VA to ensure you and your passenger’s safety.